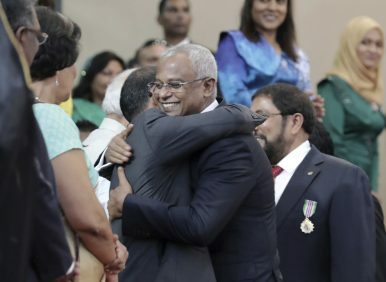 Maldives’ former president Mohamed Nasheed hugs new President Ibrahim Mohamed Solih, right, during the swearing-in ceremony in Male, Maldives (Nov. 17, 2018). The elections commission, “strengthened” with Yameen’s cronies and headed by the former chief of his own political party, rejected the candidacy of his principle opponent: exiled former President Mohamed Nasheed of the Maldivian Democratic Party (MDP). 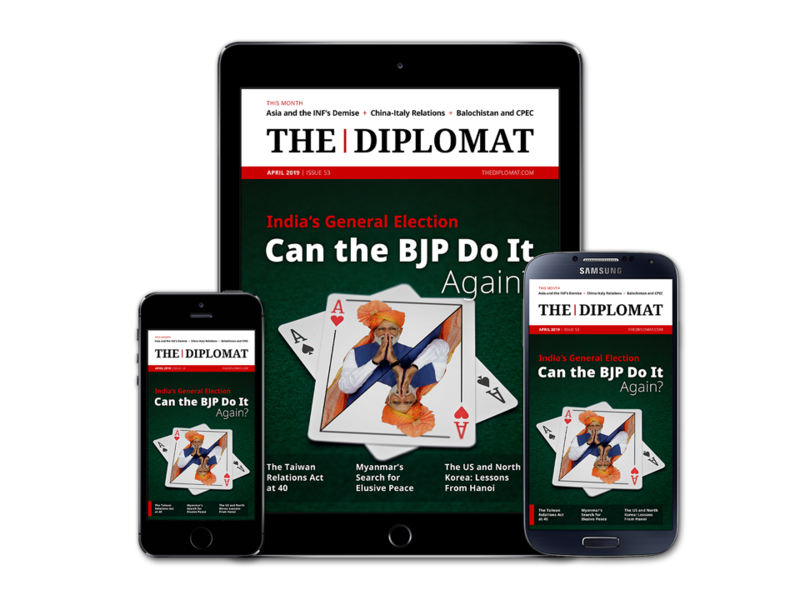 Foreign journalists were all but banned from even entering the country, turned away under a spurious and kafkaesque new visa scheme demanding bank statements and medical certificates. Nasheed seemed to decide the MDP had few options other than to play Yameen’s game of democratic pageantry, and withdrew from the running. In his stead, the MDP fielded the quietly-spoken Mohamed Ibrahim “Ibu” Solih. A close, if rather more temperate, ally of Nasheed’s, Solih had kept the party running during its years in the wilderness but otherwise seemed content to remain in the background. He appeared little threat to both Yameen and the MDP’s ambitious new fair weather friends. Astonishingly, Solih won with over 58 percent of the vote.